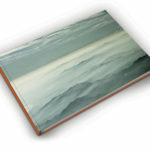 Actar publishers finally releases “BARCELONA | Jon Tugores”, a book of photographs made by Jon of the area of Barcelona. with collaborations from Vicente Guallart & carles Llop. Book designed by Ramón Prat himself. Mr. Jordi Abad Freixa, entrepeneur and successful business-man from Barcelona, joins our team as a project partner. Jon is Jury at photography competition at the Architects association COAc with Joan Gaspar, Juan Rodriguez & Carla Maideu. Invited by M.A. Aguiló. Jon Tugores is invited to an informal Think-Tank with David Lorente (H Arquitectes) at the ETSAV School of Architecture, invited by Prof. Xavier Vancells (XVA) April 16. The Studio is invited to design a new hall for the new program of activities at the EE Church in Barcelona. Photographer Jordi Miralles spends a day taking photos at the Z-House in Barcelona. 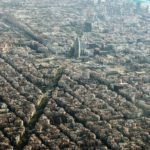 Ramon Prat, designer and CEO at ACTAR publishers, is finishing the design for the new book on Barcelona’s new aerial view. Images by Jon Tugores. Designer Pere Bou finishes this web site. Z-House is selected to take part in a publication in Argentina, all 16 projects selected by photographer Jordi Miralles. Jon Tugores is invited to design a table Lamp for a European firm. The studio receives the visit of Phaidon Editors. Working together with Minolta on the Masia Freixa project, we are working on ‘Artificial energy-catching leaves’ for the Carbon fibre Tree. Jon begins a new season teaching at the ETSEIAT, School of Aerodynamic & Space Engineers. Photographer Juan Valdés take images from the EE Church, project built in Castelldefels, Barcelona. Jon begins the edition of aerial images of European Cities for ACTAR Publishers. Jon share with AMB (Area metropolitan de Barcelona) an image for the cover of the 2015 book. Jon is invited to talk at the U.I.C. by Miguel Lacasta. Jon’s photographs are presented at the ‘Port Exhibition’ curated by Barcelona Regional, inaugurated by the Major of Barcelona, Mr. Xavier Trías. The EE Church project is presented to the Media and local politicians. On Diseño publishes the To-de House. Our Studio teams up with Engineer Miquel Sureda, to design the new airplane. Jon is invited to design a new concept for air-transport, under a coorportaion created by Manel D’Alayo and other partners. AMADIP via Pablo Martín invite Jon to create an ‘Ensaimada Box’ for charity purposes, with other invited guests as Javier Mariscal, Jordi Labanda. Jon is invited to the AGORA Terrassa conversations amongst other citizens of the Vallès City. Jon lectures at Menorca, invited by the COAIB. Jon lectures at the Fira de Pordenone, Venice, Italy. Jon is invited to lecture at the ‘1st Environment Summit of the Middle East’. Our studio signed the contract to design a High-Rise in Manama, Bahrain. End and final review at the ‘New York Institute of Technology’, M.E. Commission to develop a multi-sport training centre in Kuwait. Our studio, presents the BCH project at one of the Royal Palaces of the Royal Court of Bahrain.